Four shades in Canada, six in the USA – way to make Canada feel left out, Essie. Lookit! 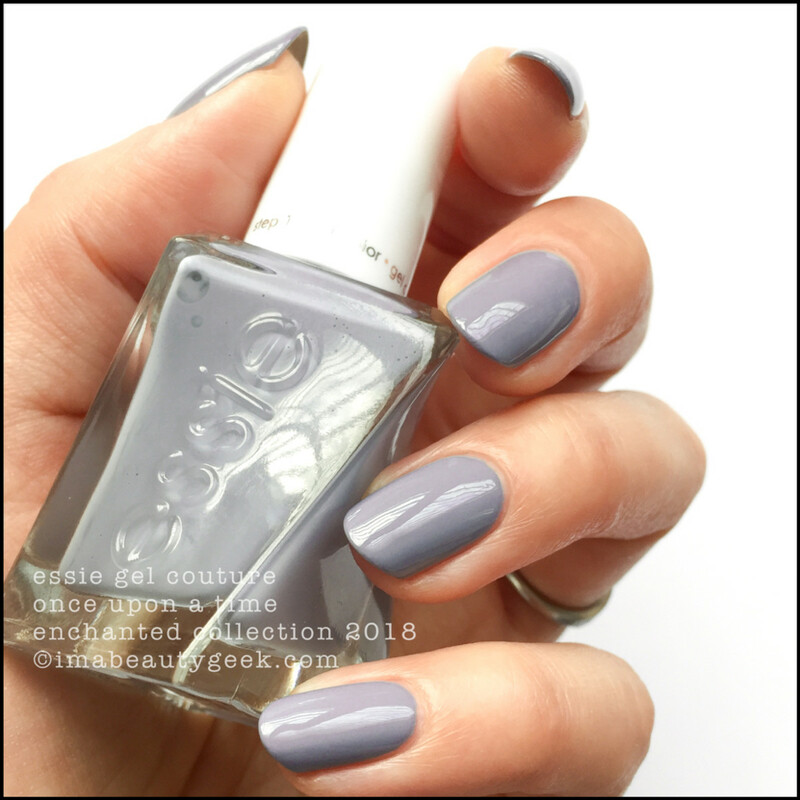 It’s new Essie Gel Couture for January 2018 and I made you swatches! Here in Canada it’s a 4-shade collection called the Essie Enchanted Collection. But wait, already available from amazon.com in the US, these same 4 shades are part of the 6-shade Essie Spellbound Gel Couture Collection. Why the differences in collections? I dunno. All I know is that if I think about it for too long, it starts to irritate me, so I just stop thinking about it. Let’s look at the 4 shades we lucky Canadians do get, huh? 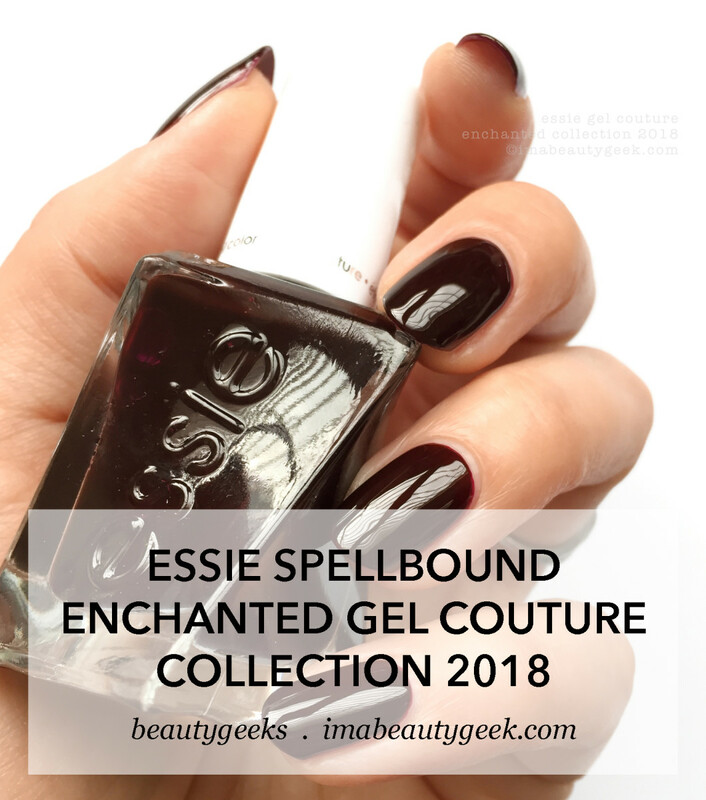 Essie Matter of Fiction – Enchanted/Spellbound Collection 2018 (above). That’s 2 coats of the best pale, soft pink that Essie has ever made. Like, ever. It’s a tiny bit sheer in 2 but I think that’s all that’s called for. If the brush had been as perfect as the formula, I’d give it a 10/10. Instead, it gets a solid 9. 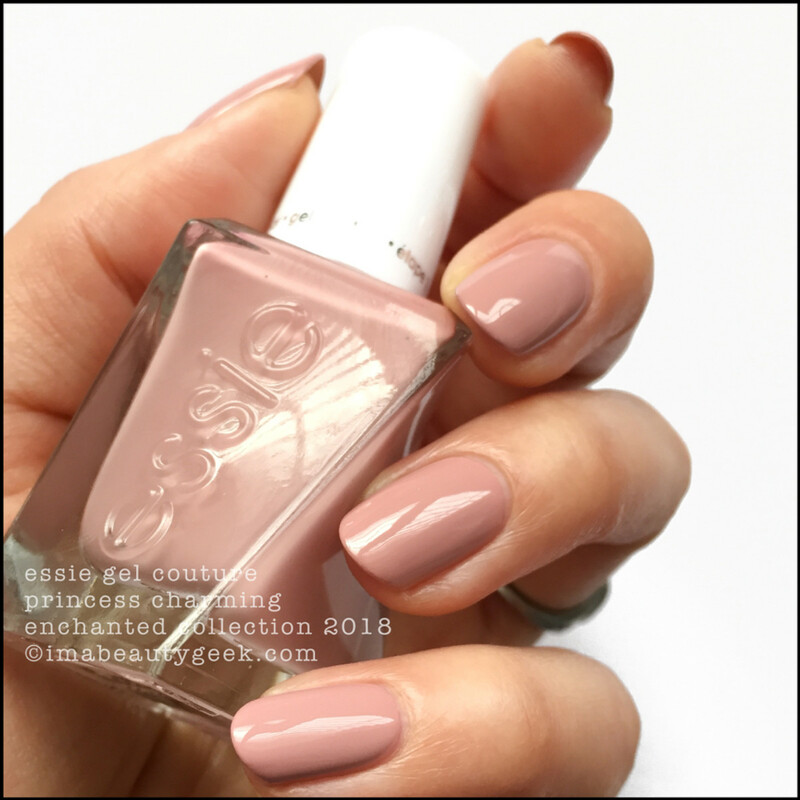 Essie Once Upon a Time – Enchanted/Spellbound Collection 2018 (above). 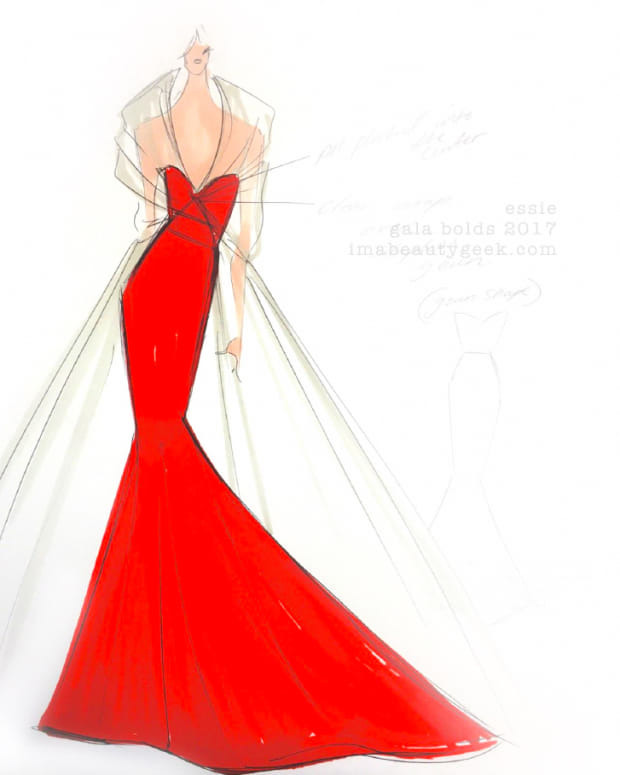 It’s like I decided to make my notes as if I was talking to Essie and not to you – ha, that’s funny! What did I write? 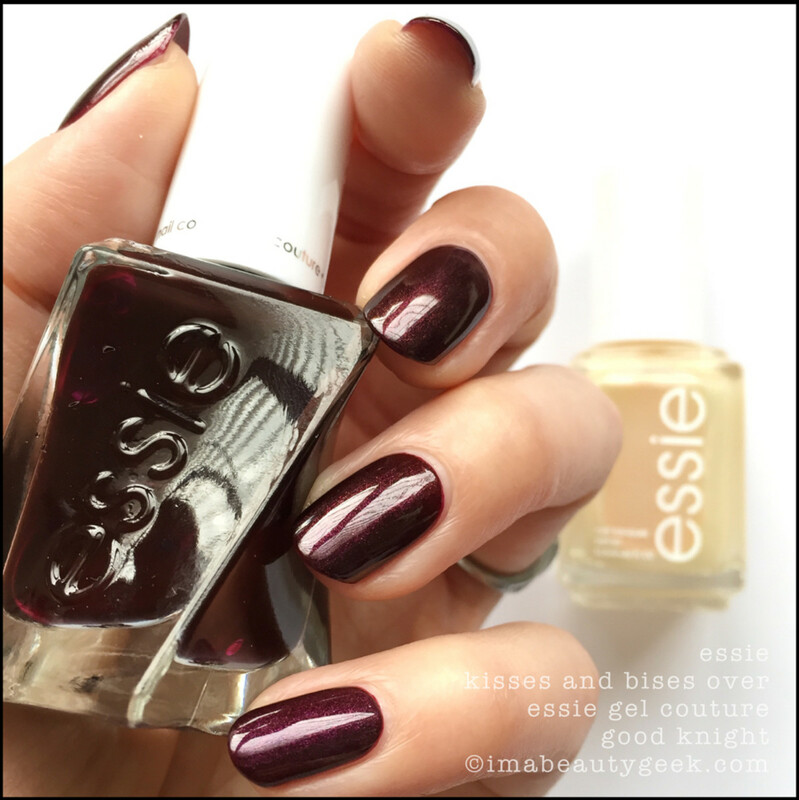 “Oh Essie, you’ve nailed it! For realz – nailed it!! 2 coats”. 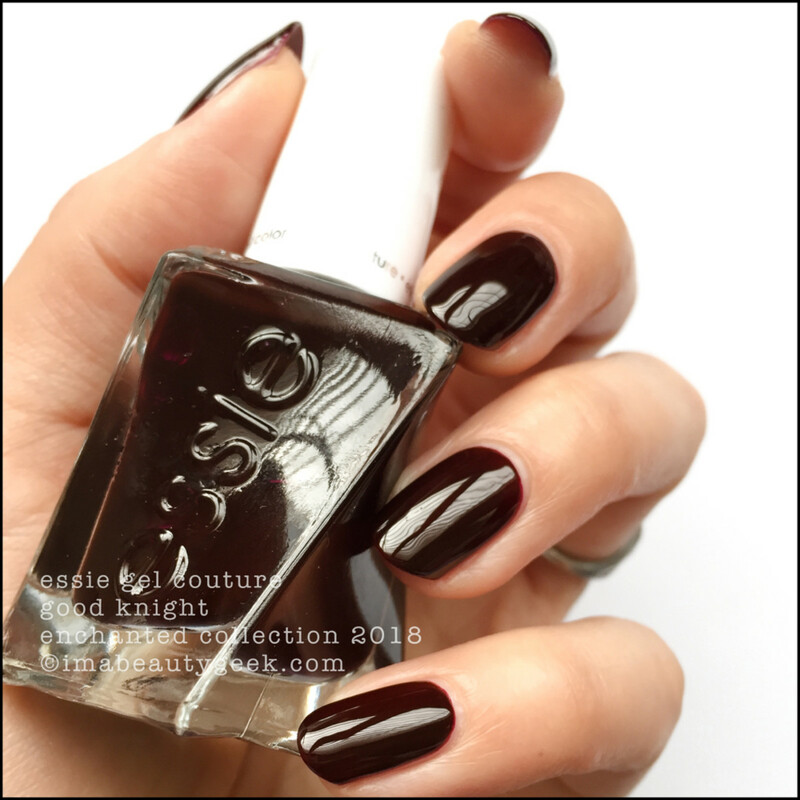 Essie Good Knight – Enchanted/Spellbound Collection 2018 (above). And then there’s this. It’s 3 coats to crush all the patchy, but if shades like these are your jam, they’re 3 easy coats. Just be sure to let it set up before doing each successive coat so you’ll have less trouble with balding. So I guess that’s all! I wish I could show you the 2 other shades that they&apos;ll get in the US (because I know that many of you read Beautygeeks on the borderless World Wide Web from there), but I can’t. What I can do, is direct you to amazon.com where all 6 shades of the Essie Spellbound Gel Couture Collection are already currently available. Here in Canada, you can’t get the 4-shade Essie Enchanted Collection yet; we gotta wait &apos;til next year. That sounds worse than it is though ‘cause 2018 is only a month away! Yay!!! P.S. 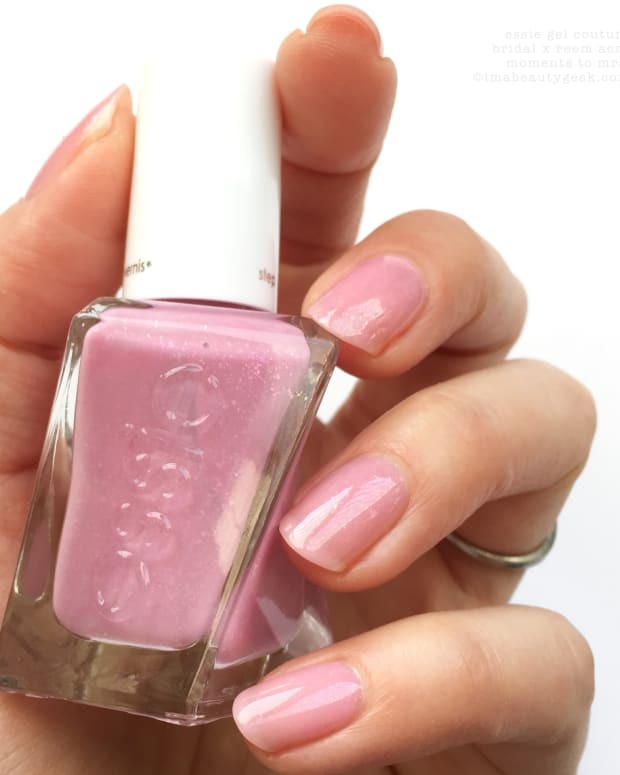 In case you missed it, here&apos;s our video on all the geeky details about Essie Gel Couture, about how it the formula is designed to work plus application tips from Essie&apos;s Global Lead Educator Rita Remark. Manicures & photos Karen Falcon (let&apos;s not talk about the UK Essie Galaxy Metals Collection we didn&apos;t get either, k? ).